The Cupertino giant has not only released iOS 9.2, OS X 10.11.2, tvOS 9.1 updates today, but has also given due attention to “its most personal device ever” – the Apple Watch – with the release of watchOS 2.1 update. The newly released update is now being rolled out to Apple Watch users around the world. 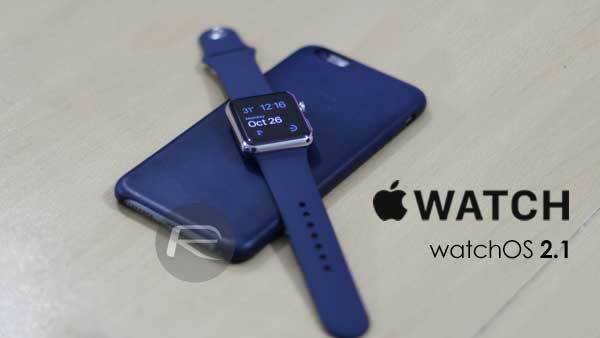 The latest update drops in almost 45 days after watchOS 2.0.1 hit the public domain, and almost two and a half months after Apple introduced first major software update for Apple Watch, that was watchOS 2.0. We’re all pretty familiar with the significant improvements that watchOS 2 brought to the table, including major new features and battery life improvements. Version 2.1 however, is unlike its predecessor and doesn’t offer as much. Additional language support; yes, watchOS 2.1 adds new language support to your expensive smartwatch, and just in case you were pretty happy with your Apple Watch, this is practically a moot point really. 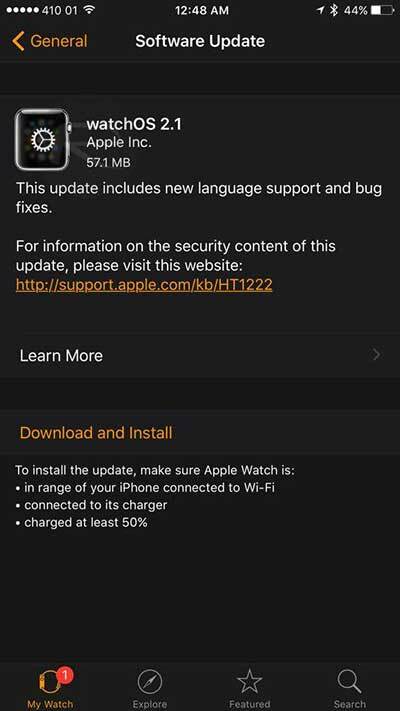 While that is definitely not the most exciting of news, updating your Apple Watch to the latest firmware is a no-brainer really as it still carries a host of bug fixes and performance improvements. 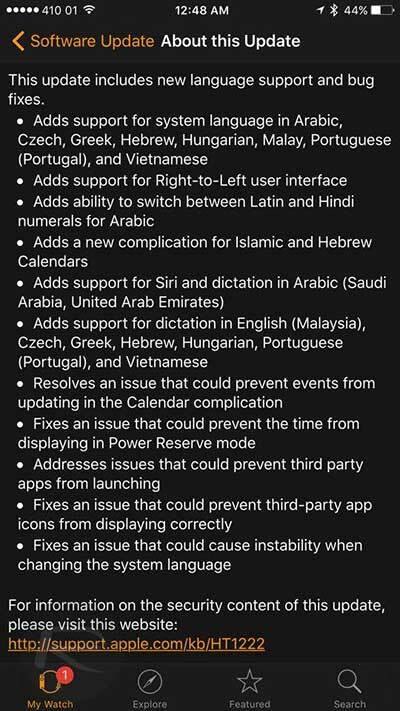 More specifically, watchOS 2.1 brings in support for Arabic, Czech, Greek, Hebrew, Malay, Portuguese (Portugal), and Vietnamese languages. Also added is support for right to left user interface as part of these new languages support. Numerals can now be switched between Hindi and Arabic, while Islamic and Hebrew calendars have also been included as part of this update. Also, with Siri in iOS 9.2 now supporting Arabic, watchOS 2.1 has followed suit as well, with complete support for the Arabic language using Siri and Dictation. For a step-by-step guide on how to download and install the latest watchOS 2.1 on your Apple Watch, check out our full guide here: How To Install watchOS 2 Update On Apple Watch [Tutorial]. It would appear with this update that Apple has full confidence in watchOS 2 and would continue to use it as the base on which it would continue to improve the Apple Watch experience with periodic software updates such as this one.